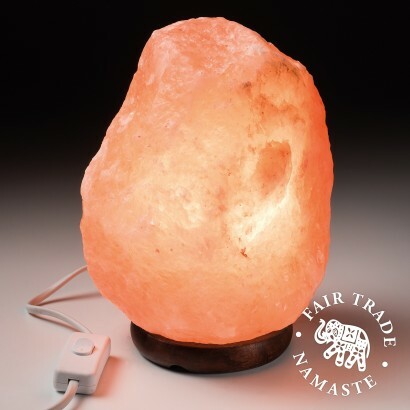 A large and substantial rock of pink Himalayan mineral salt, this stunning natural salt lamp not only looks fantastic but it's good for your health too! When warmed, Himalayan rock salt releases negative ions that neutralise the air around it cleansing the air of positive ions that feature so heavily in modern life. 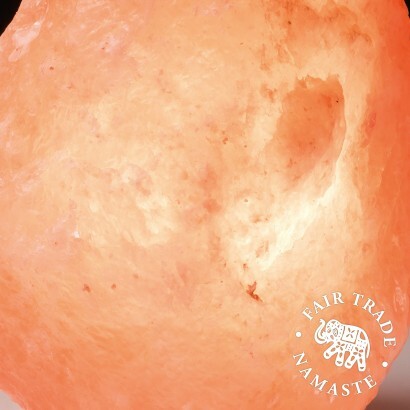 The negative ions released by Himalayan salt lamps are believed to produce biochemical reactions that cause our bodies to increase serotonin helping to alleviate depression, boost energy and relieve stress, they're even said to help regulate sleep and reduces symptoms of asthma and allergies! Presented on a wooden base, this stunning natural lamp shines with a beautiful warm, comforting glow for a cosy, restful atmosphere.